Thai capital's low ranking in a survey for "expat safety" says more about the entitlement of the judges than reality. Bangkok’s place near the bottom of the rankings in a recent survey on expat safety might say more about the people doing the judging than the city itself. I must confess, when I saw articles with the headline “Bangkok ranks near bottom of safe city list” doing the rounds on social media, I did a pretty sharp double take. That’s because, in the five years that I’ve lived here, the Thai capital has always struck me as the safest city I’ve lived in - whether compared with stints in the United States, Europe, or other parts of Asia. It’s an opinion that I know is shared by many others who live in Bangkok. I’ve never been worried walking down a dark alley late at night - and that definitely wasn’t always the case in Brooklyn. Then I read a bit more, and I understood what the issue was - it was an article about safety for expats, and unravelling that phrase means opening a whole can of worms. 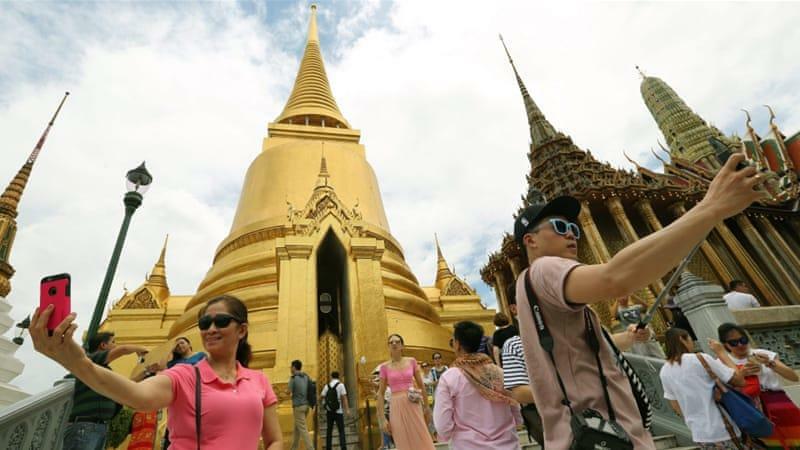 The Mercer survey, which produced the rankings, cited political instability for Bangkok’s poor performance. But political instability here, while a major problem for Thais, has rarely affected foreigners in terms of safety. Safety for expats in an Asian city - in the developing world - can have a very different meaning to safety for foreigners - and even locals - in developed countries. Western expats often move to cities in Asia or Africa with strong concerns about safety - and they tend to build up cloistered existences, where small infringements can be regarded with panic. Attacks on expats tend to receive widespread coverage in international media. The big one in Thailand last year was the murder of two backpackers in the island of Koh Tao - and serious question marks over how the subsequent investigation was conducted did little credit to the Thai authorities. These incidents, however, are usually relatively isolated, the uproar surrounding them a sign itself of how rare they are. Compare this with our attitudes towards attacks on migrants in wealthier countries - say Germany - and how they reflect how safe those places are. Compare it with the use of the word "migrant" in that context, as opposed to "expat" in the context of Bangkok. People who defend the distinctions between the two terms will usually say that “expats” move to a place temporarily, while “migrants” move with a view to immigrate permanently. But then why are Bangladeshi workers who go to the Gulf states for a few years called migrant workers, not expats? There are two things at play here - one is an issue of nationality, with expats or migrants being partly determined by the status of the country they come from compared to the status of the country they have moved to. The other is an issue of class - expats are wealthy, migrants are poor. And with these differences come a gulf in expectations of safety, in the feeling of entitlement to a certain level of safety. One way to look at it is that of course this is how it is, this is the way the world works. But it’s one thing to recognise that, and another thing to reinforce it by publishing surveys that make it seem as if places such as Bangkok are lawless and dangerous, when they do pretty well compared with a lot of other places. A few years ago, a very good friend of mine who lives in Bangkok was the victim of a brutal racial assault…while studying in Sydney, Australia. I honestly couldn’t imagine something like that happening to her here. Could be worse than some locales. Are you a migrant, or an expat? Add: Don't swim in the klongs - not safe. Aside that, we're in clover!!! Bangkok is safe if you know what you are doing. A Thumb rules when visiting a foreign country is Always be defensive. Why the negativity? Surely the title should be Bangkok safer than study suggested! Thank you for giving the idiot's perspective. Karl Pilkington seems to fair well even though he's a self confessed idiot abroad. This was discussed in another thread. If we define safety as the chance of random physical violence and robberies happening to you, then there is no question that Thailand is much safer than many, many parts of America. I think the cops and other authority figures are an exception to this rule though, you are more likely to be extorted or threatened randomly or virtually randomly by cops in Thailand than in the US. But still, overall Thailand is safer. If you start to get into other components of safety, then the issue gets a bit more complex.